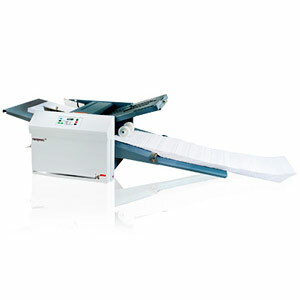 The PF-60 Document Folder is an easy-to-use solution for virtually all folding applications. 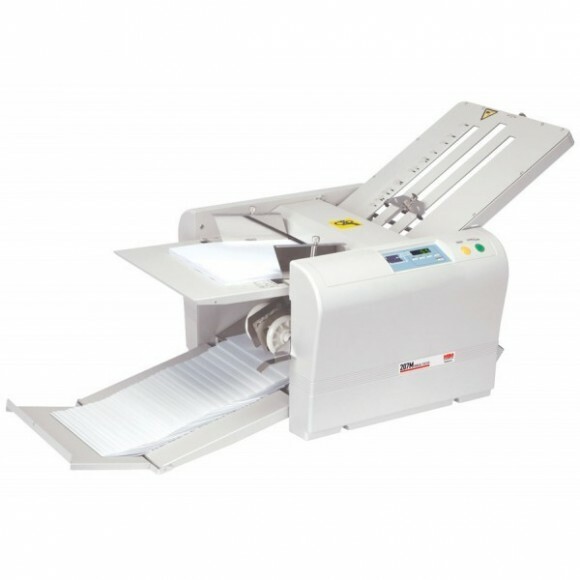 Fast and dependable, it offers six popular, clearly marked folds for quick set-up and operation. Simply slide the fold stop to the desired fold and go. Easy adjustment can be made to process a variety of precision folds including single, letter, z-fold, gate, fold-out, and double parallel.